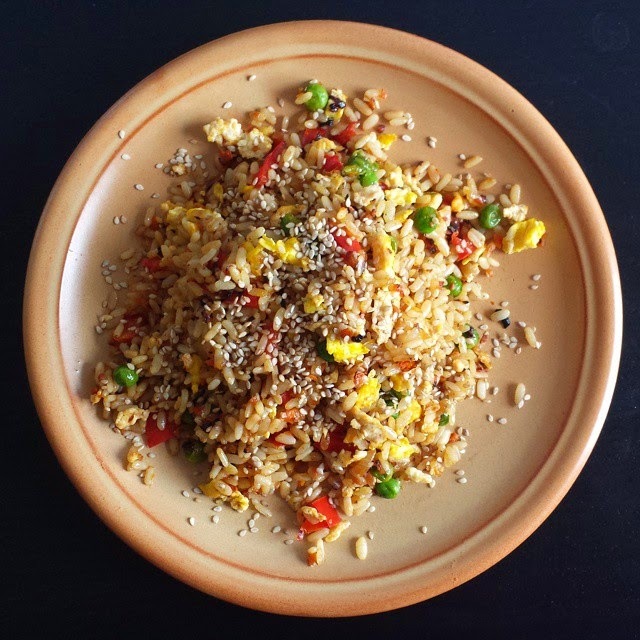 Fried rice is easy to prepare and does not require much time. 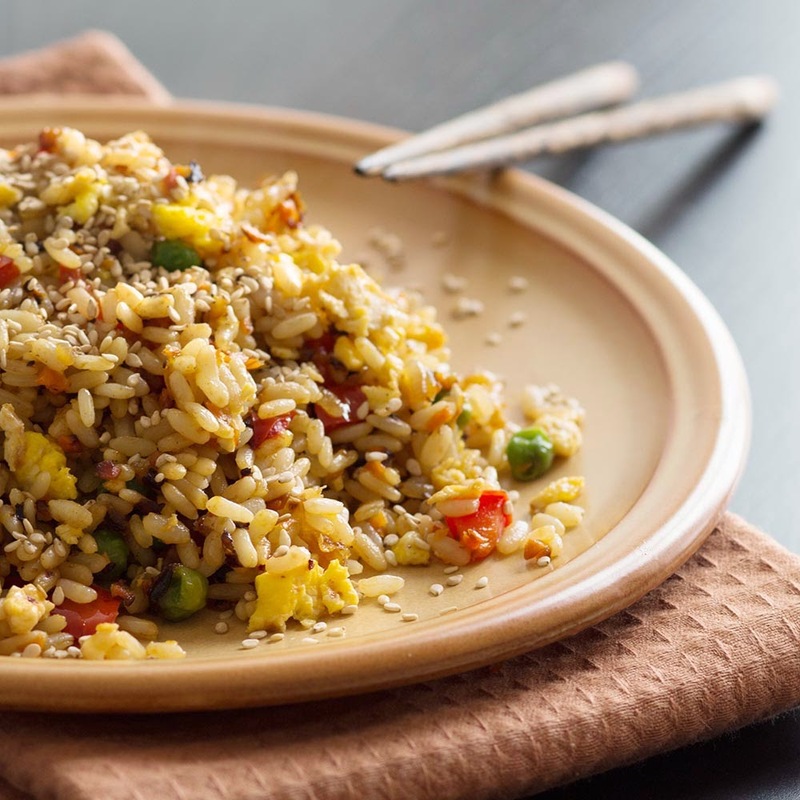 boiled rice, basmati rice is better, but any is ok - 350g for two portions - the rice should already be cold! 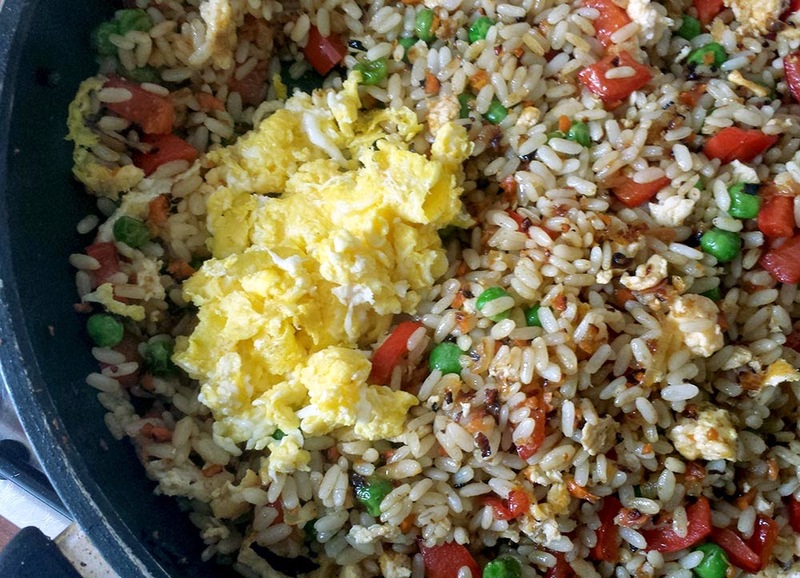 Better use, of course, wok, but I don't have it, so I used ordinary frying pan. 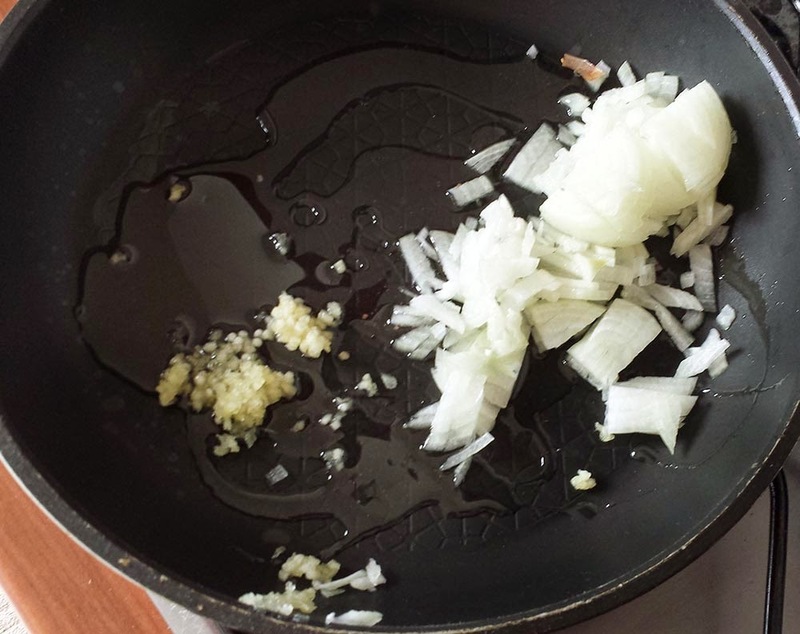 Squeeze out the garlic and finely chop the onion, then fry them until onions became lightly golden and transparent. 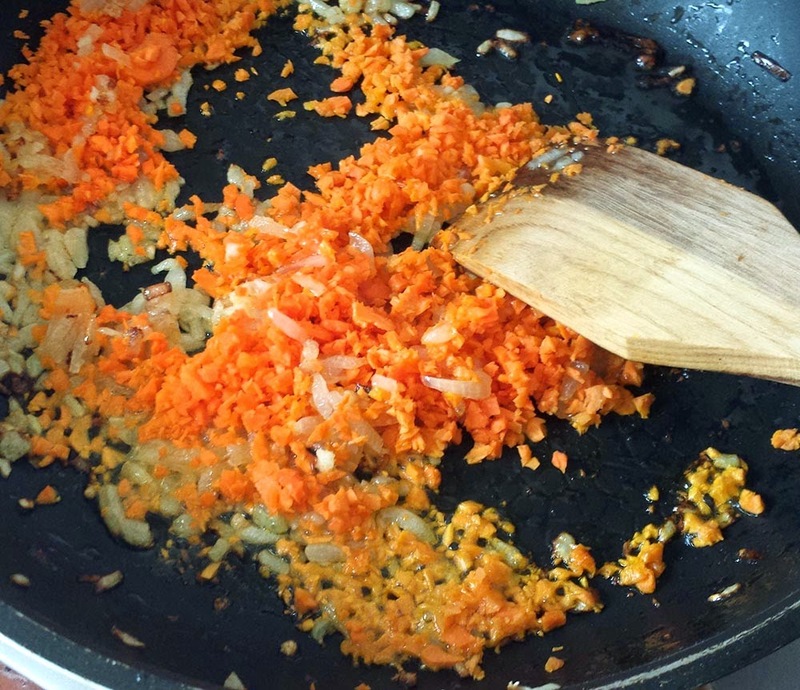 I pulverize carrot in a blender. You can cut it small pieces. Then add it into the pan. Then finely chop the paprika and add to the pan. 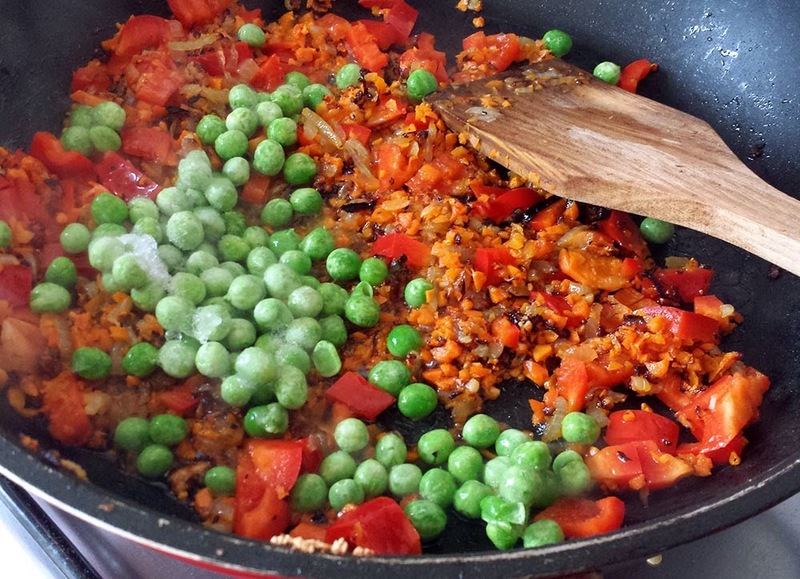 After a minute - put green peas. 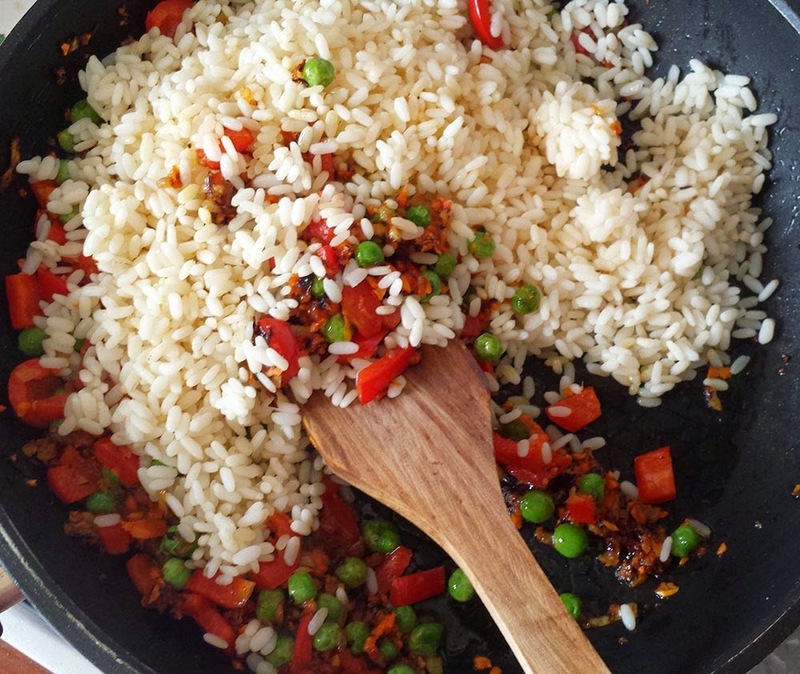 Add the rice and mix well. I also add a teriyaki sauce and sesame seeds. 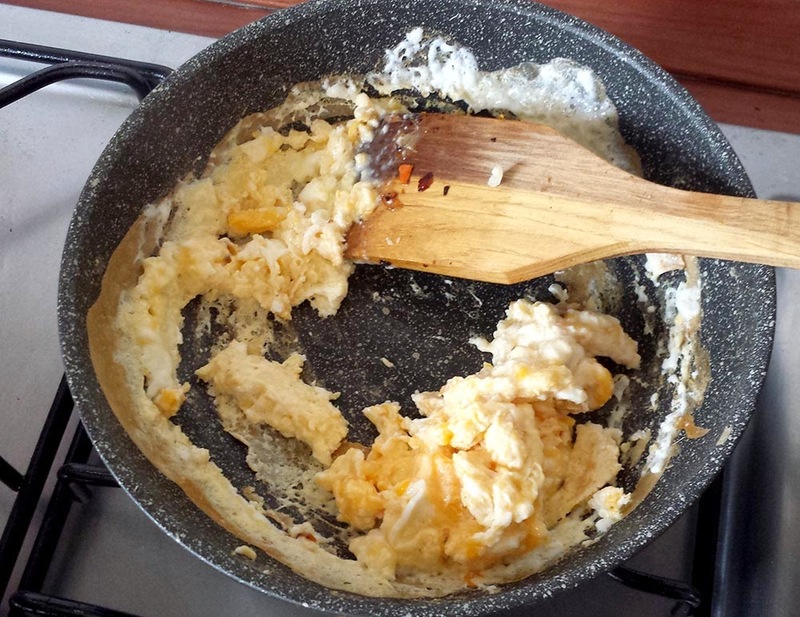 At this time, beat up two eggs, and fry them muddling constantly. Then add to the rice. That's all done! Bon appetit!